There have been a lot of added services and new equipment packages for ADT Monitored Security Systems in the last few months. ADT prices and packages have certainly changed and ADT has bundled a lot of the monitoring services together. ADT prices for business and home security alarm monitoring are based on the initial security equipment, installation prices and the monthly monitoring rates. ADT prices can vary depending on the current special offers or package prices ADT is currently offering. 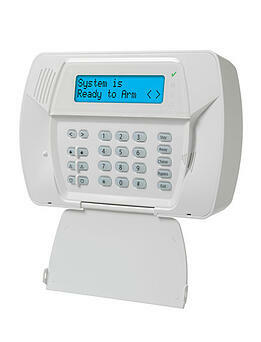 California Security Pro will match any ADT prices, coupons or special offers you have received in the mail or online. With all the new systems including the ADT CellGuard cellular home security systems and ADT Pulse, there are a lot of different prices and packages. ADT has moved away from charging individually for different monitoring options and has packaged the alarm monitoring services at a discounted rate. This article will help you determine what kind of system is within your budget. Remember these are retail prices so make sure you call in to find out about current ADT coupons and online offers. The ADT prices given here are based on the retail price list** and do not include any discounts or current ADT special offers or packages. Call 1-800-310-9490 for current special offers. **Ask about your 6 Free wireless door or window sensors with our Facebook promotion, FREE* system includes 3 wireless sensors without Facebook promotion. See our Pricing Guide for a explanation of what is included in each of the ADT Alarm Monitoring service pacakges. The ADT prices for ADT Pulse monthly rates and what services are included are also available in our Pricing Guide section. The ADT prices for monthly monitoring rates start at $36.99 for standard digital service. We find that less than 5% of our customers are getting the standard service, especially since it requires home phone service which many homeowners are eliminating. Most of our customers are getting cellular service and our most popular package is Cellular with Voice Connect at $47.99 a month. ADT Pulse monitoring service is quickly growing as customers want to access their security system from their mobile smart phones or computers at work. ADT Pulse monthly monitoring starts at $49.99 and goes to $60.99 depending on the service you desire. Call 1-800-310-9490 to find out about current ADT special offers. For most customers the easiest way to find out which ADT monitoring service is right for their home, family and budget, is to have a Security Consultant come out to help them design the right security package within their budget. To schedule your FREE Home Security Review call 1-800-310-9490.